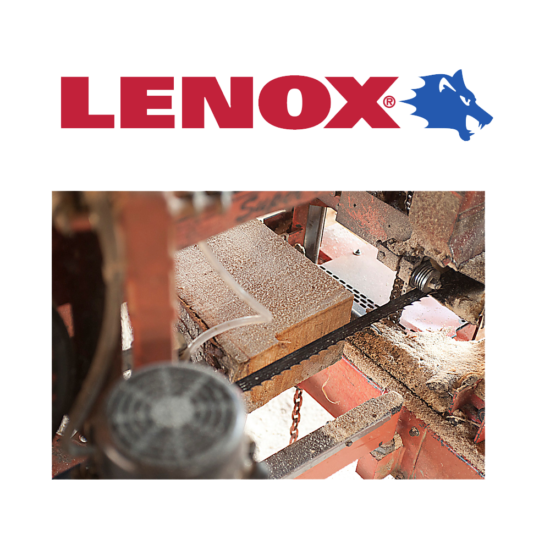 Longer lasting with faster and straighter cuts for wood & sawmill applications. The Woodmaster C is the number one selling blade. 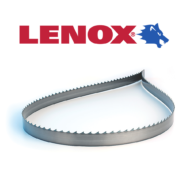 LENOX Tools has dedicated one of the largest & most experienced teams in the world to their R&D. 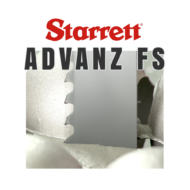 They have been developing premium cutting tools for almost 90 years to make your job easier. 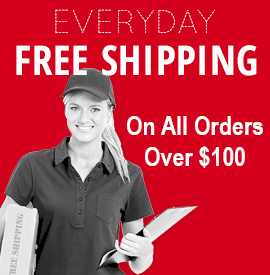 Their focus is to give you the best performance possible for the money. 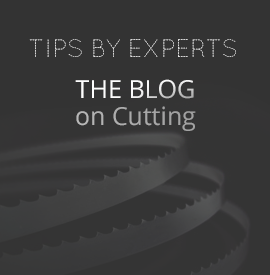 LENOX uses Six Sigma® to ensure proven & consistent cutting for each product. "If there’s a way to engineer more performance into tools, we’ll find it." 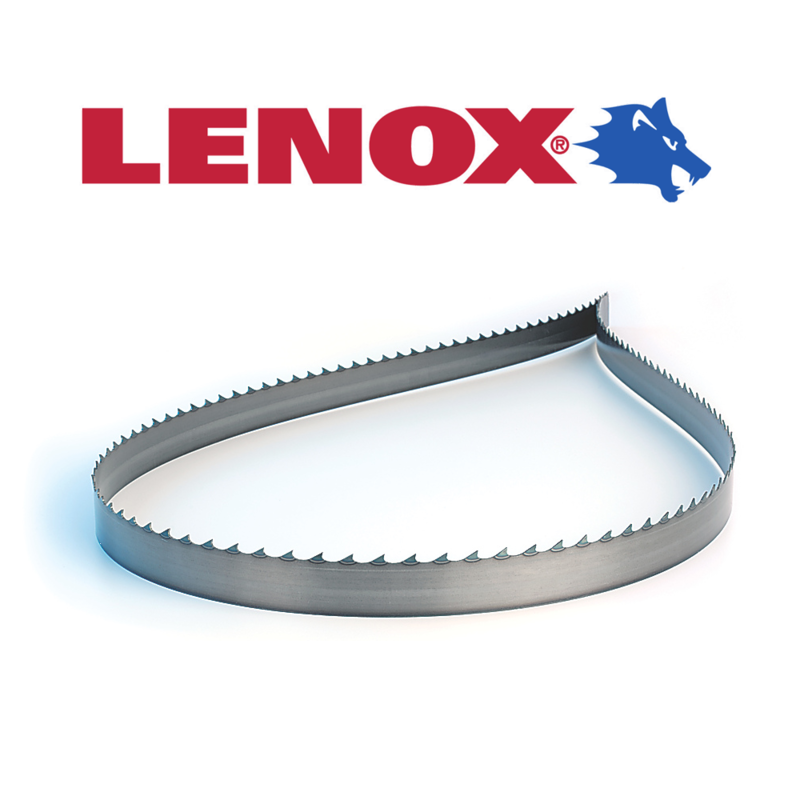 The Lenox Woodmaster C band saw blades are designed specifically for high demand saw mill and resaw applications. 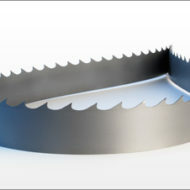 This carbon steel bandsaw blade will give straighter cuts at higher band speeds than a typical blade. 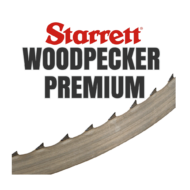 This is one of the top choices for cutting lumber due to price and quality. The Woodmaster blades are designed with a one piece carbon steel construction with induction hardened tooth tips for long life in sawmill applications. 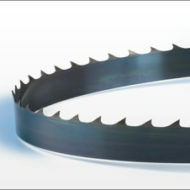 The resaw blade and the teeth wear evenly for longer life. The Woodmaster C has an improved beam strength for high feed rates. Not only does this blade increase productivity with the long blade life, but higher feed rates can be used to get straight cuts. 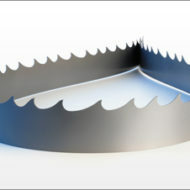 Custom Sawmill Bandsaw Blades Online! For more detailed information about the Lenox Woodmaster C, the band saw blade manufacturer.